Stanley Wells’ Shakespeare & Co.
David Garrick reciting his slash fic for Shakespeare and Marlowe, during which all members of team Ben Jonson booed. My reason for mentioning Garrick’s “Jubilee” is to touch on the fact of, for better or worse, Shakespeare’s centrality for our understanding of the Renaissance, and really English literature in general. Just take a glance at any college course offering in literature: while most English departments are dropping many of their great authors courses – you would be hard press to find a course dedicated to Milton, Chaucer, Austen, or Dickens – Shakespeare generally has at least two courses devoted to his plays and poems. He is so predominant that there are courses specifically devoted drama other than Shakespearean: when I was in the MA program at SUNY Stony Brook, I took a fascinating course entitled Tudor and Stuart Drama other than Shakespeare. This brings me to Stanley Wells’ Shakespeare & Co.:Christopher Marlowe, Ben Jonson, Thomas Middleton, John Fletcher, & Other Players in His Story (2006). (Ironically, being in graduate school when Shakespeare & Co. came out, I was not able to actually read it until just recently.) What Wells accomplishes, quite well I might add, is to situate Shakespeare in the professional community of actors, playhouse owners, and playwrights of the late Elizabethan and early Jacobean period. While very little is actually known of how Shakespeare wrote his plays, hence all of the conspiracies surrounding the authorship of his works, it is safe to assume that he did not work in a vacuum. The theater community in which he spent his career was a closely knit one: Shakespeare was friends with the star actors of his day – Richard Burbage and Will Kemp of the Lord Chamberlain’s Men (the company with which Shakespeare would act, later to be known as the King’s Men) and Edward Alleyn of the Admiral’s Men (played by Ben Affleck in Shakespeare in Love). One of my favorite chapters of Shakespeare & Co. is Wells’ look at the actors of the London’s stage at the end of the 16th century. To offer a bit of background about Shakespeare’s ties to the acting community, he was a founding member of the Lord Chamberlain’s Men – to be exempt from being classified as vagabonds, acting companies had to have noble patrons so as to allow them to tour the English countryside. 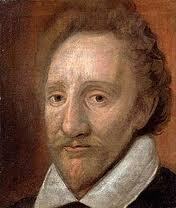 Richard Burbage was the premier actor of this company, who first played such roles as Hamlet, Macbeth, and Othello. 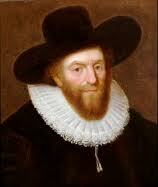 His father, James, built the first theaterhouse in England in 1576, unimaginatively named The Theater. Interestingly, due to a dispute over the lease, the Lord Chamberlaine’s Men would eventually have to disassemble The Theater and transport the frame from Shoreditch (just north of London) to the southern bank of the Thames and rename the playhouse the Globe in 1599. Wells does much to remind us of the talent that Shakespeare had to work with in Burbage: “Shakespeare, Burbage’s senior by only four years, must have known him intimately, and the actor’s special talents undoubtedly did much to influence Shakespeare’s choice of material for plays and characterization of many leading roles.” (43) If we consider how demanding and wide-ranging many of Shakespeare’s leading roles are, he had to be very confident in the caliber of acting. Wells points out that Burbage had to be able to play Hamlet (about 30 years old according to the play) and 80-year old Lear within 4 years of each other. While Burbage was the company’s tragedian, Will Kemp covered the comedic parts. While scholars know for certain that Kemp played Dogberry (Much Ado About Nothing) and Peter (Romeo and Juliet), other major comedic roles in Shakespeare’s plays prior to 1599 can be ascribed to him as well. Unexplainably, Kemp left the Lord Chamberlain’s Men in 1599. Yet this would not be end of his fame for on Feb. 11th, 1600 Kemp would morris dance, a type of jig with bells attached to the wrists and ankles, from London to Norwich, a distance of 110 miles. Will Kemp on his morris dance from London to Norwich, the Elizabethan equivalent of Charlie Sheen's "Torpedo of Truth" tour. It would take Kemp and his servant, Thomas Sly, nearly a month to make the typically nine-day journey. Wells remarks that Shakespeare’s comedic roles change following Kemp’s departure, since he was now writing for a new comedic actor, Robert Armin: “After Armin’s recruitment Shakespeare began to create clowns who are more wistful, introverted, and musical: semi-choric commentators on the action rather than active participants” (38). (Compare, say, Bottom from Midsummer Night’s Dream to Lear’s Fool or Feste from Twelfth Night.) What Wells does so expertly is to show how the changes in Shakespeare’s plays mirrored those in the acting company he would spend his career in. The majority of Shakespeare & Co. delves into the professional relationship that Shakespeare most likely have had with other playwrights, including Christopher Marlowe, Jonson, John Fletcher, Thomas Dekker, and John Webster. While most of these names would only be familiar to English majors having taken an introduction to Renaissance literature, Wells offers succinct summaries of their careers and possible influence on or by Shakespeare. Probably one of the most important themes of the book for any student of Shakespeare is Wells’ reminding us that Shakespeare collaborated with other playwrights. For those who remember the film, there is a scene in Shakespeare in Love when Marlowe (Rupert Everett) helps Shakespeare (Joseph Fiennes) hash out the plot for Romeo and Juliet. So lets start in Verona, the whole Italian thing is hot right now. While grossly inaccurate (R&J is based on an Italian story translated by Arthur Brooke in 1562), the scene speaks to the importance of appreciating how Shakespeare worked with his fellow writers. Wells cites the various plays that Shakespeare either certainly or most likely co-authored with another playwright: Titus Adronicus (likely George Peele), Henry VI, Part One (Thomas Nashe), Edward III, Pericles (George Wilkins), Henry VIII, The Two Noble Kinsmen, and the lost play, Cardenio ( all with John Fletcher), and Timons of Athens (Thomas Middleton, who possibly revised parts of Macbeth). 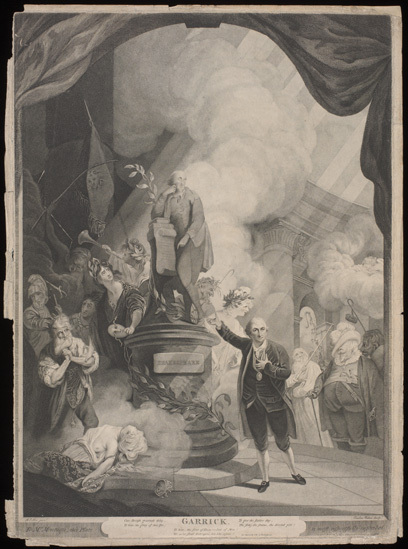 Overall, Shakespeare & Co. works against the often cited quotation from the First Folio by Ben Jonson, that Shakespeare “was not of an age but for all time.” Wells relocates Shakespeare within the theatrical community to which he contributed to and benefited from. Shapiro, James Contested Will: Who Wrote Shakespeare. New York: Simon and Schuster, 2010. Wells, Stanley. 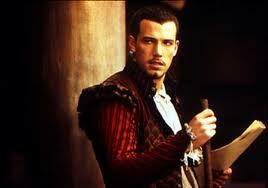 Shakespeare & Co.: Christopher Marlowe, Ben Jonson, Thomas Middleton, John Fletcher, & Other Players in His Story. New York: Vintage Books, 2008. This entry was posted in Why the Renaissance matters and tagged authorship, Christopher Marlowe, London Stage, Richard Burbage, Shakespeare, Stanley Wells, Theater, Will Kemp. Bookmark the permalink. 2 Responses to Stanley Wells’ Shakespeare & Co.
Superior tnhiknig demonstrated above. Thanks!